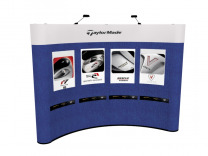 10' Pop Up Display Graphic Packages: Shop for a variety of presentations with the diverse packages available from Shopforexhibits.com. 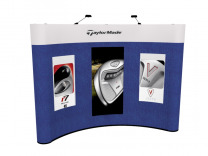 Createing an attractive trade show booth is what get's your foot in the door by attracting attention, so this is something worth paying attention to. 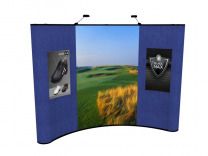 The process of serving our clients who are searching for trade show displays is an important roll in our trade show displays business. 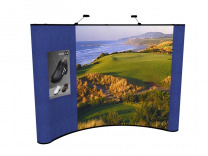 We as service professionals, have to be willing to work harder to ask questions pro actively in order to understand what the client's expectations are for the display they're purchasing and not become order takers and processors. Although they might not say it, most of our customers want to hear what we have to say and welcome our input and feedback. That is why we, as customer service professionals at ShopForExhibits, have the real world experience in order to advise our clients properly and give them the direction they need to create a valuable exhibiting experience for themselves.